If you’re looking to Hawaii for your destination wedding, there are few places as breathtaking as the beach to tie the knot- right? Well, if you answered ‘yes’ to that, you just may want to reconsider your wedding options. With cascading waterfalls, coffee farms, and even Hawaiian cowboys as your backdrop, these unique Hawaiian wedding locations will have you wondering why you ever considered a Hawaiian beach wedding to begin with. Off Maui’s famous Road to Hana is where you’ll find this historic sugar mill surrounded by lush tropical gardens, and infused with unmatched beauty and elegance. You and your guests will enjoy a touch of Old World European charm, a rich history, and one of Maui’s most unforgettable venues. The lovely western slope of the Kohala Mountains is where you’ll find Kahua Ranch, a privately-owned working ranch spread over 8,500 acres. 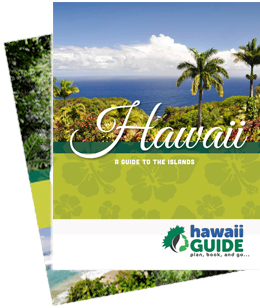 You can choose from a variety of landscapes – from grazing horses, sheep, and cattle, to stunning views of the Pacific. 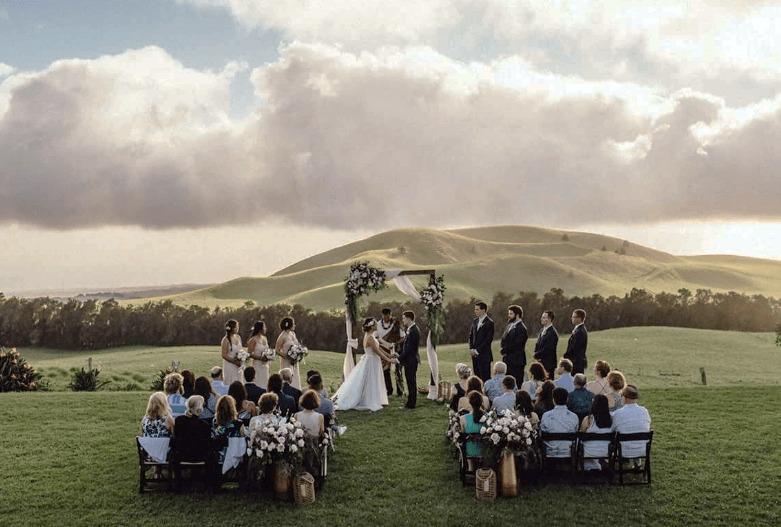 And whether you choose a historic ranch chapel or a covered deck and working barn for your nuptials, you’ll come away with an appreciation for the Paniolo (Hawaiian cowboy). Select traditional and timeless or a touch of adventure at this great Kauai ranch. 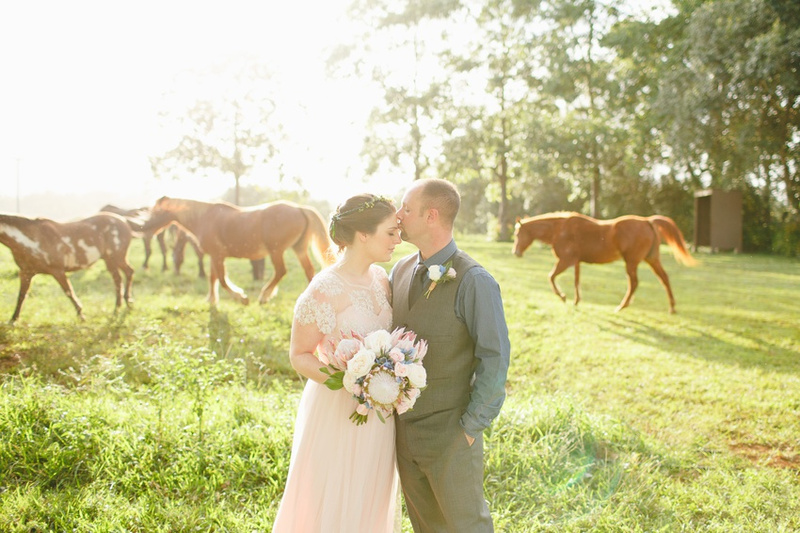 Barn, meadow, and hilltop locations can host a grand affair or a more intimate gathering. You can even ride in on horseback, take a 4x4 to a remote waterfall for your ceremony, or even celebrate your vows with a side-by-side zipline run – how’s that for high adrenaline! The 1930’s-era manor house and restaurant is nestled among award-winning orchid gardens, peaceful koi ponds, and a stately plumeria tree. 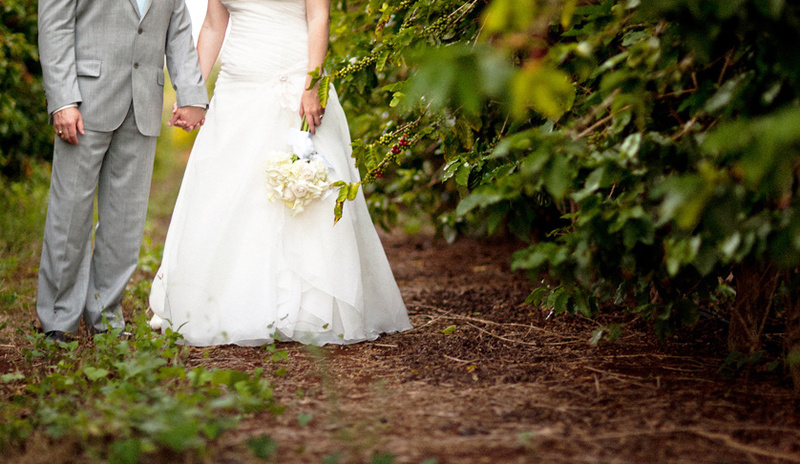 Exchange your vows in the gardens, and have your reception at the restaurant and bar. 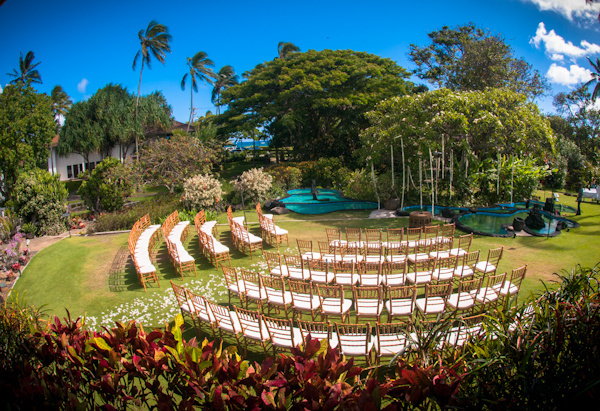 If casual yet elegant is your style, Plantation Gardens on Kauai’s sunny south side is the perfect location. Once a sugar cane plantation, this private estate and working coffee farm serves up much more than a cup of Joe, as it offers amazing patchwork fields of coffee plants and lovely views of Molokai and Lanai; while the home’s expansive covered lanai opens up to a huge patio surrounding an infinity pool and spa.